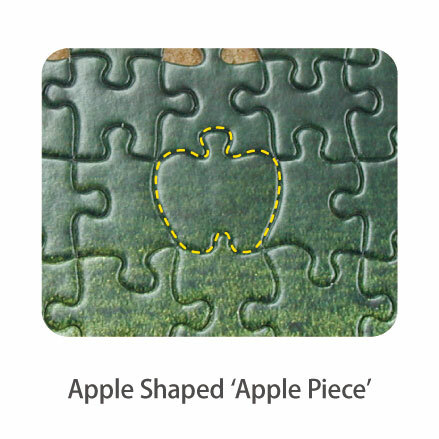 One of the jigsaw puzzle pieces is in the shape of an apple. It is a very unique and exclusive design created by Apple One for your enjoyment and excitement. This unique Apple Shaped Piece will help you to complete the puzzles along with regular shaped pieces. Note: No Apple Shaped Piece available for board puzzles and 2000 piece puzzles.